← Blue Banded Bees visiting? 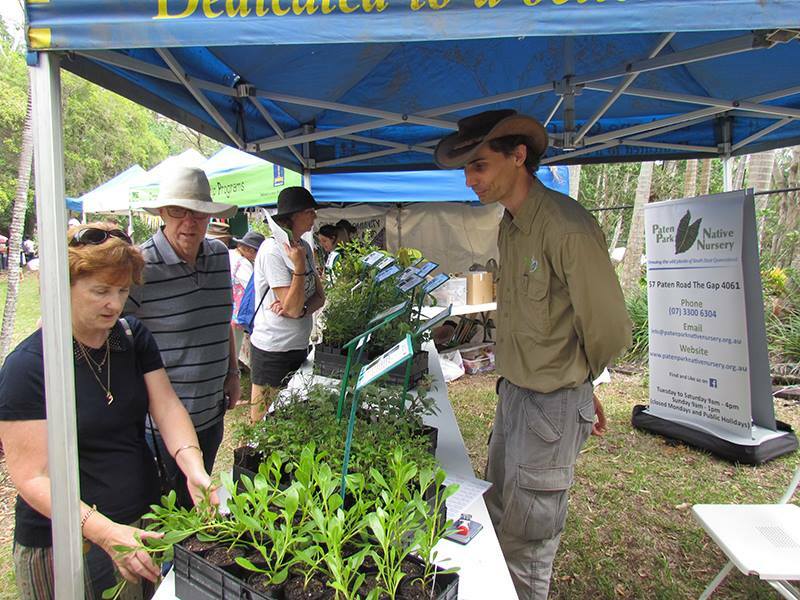 The Pollinator Link® display was very popular at the Cubberla-Witton Catchments Network Pollinator Festival with a regular stream of visitors wanting to learn about gardens for birds, butterflies and bees, and claim a free pollinator plant donated by SOWN. Activities for kids were a big part of the Festival. 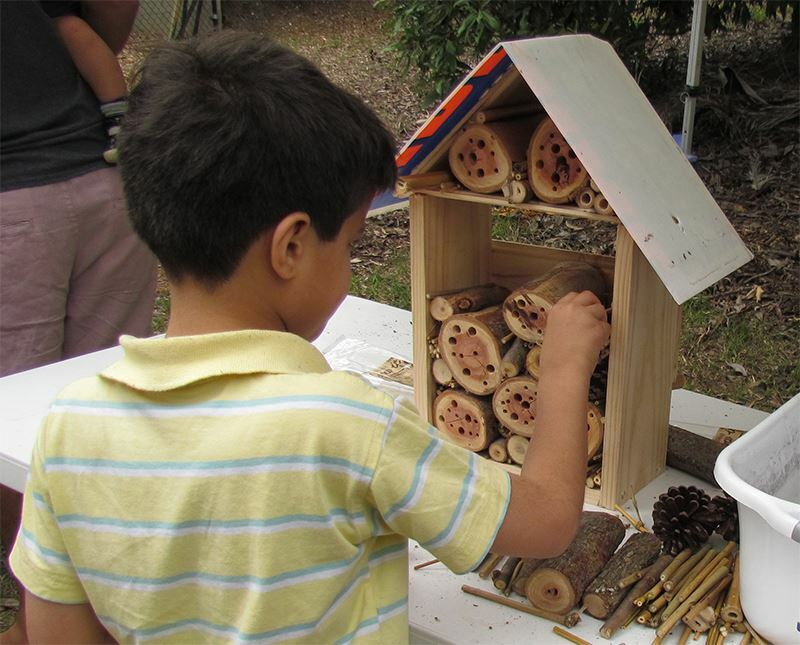 My favourate was building decorative Backyard Bee Homes. 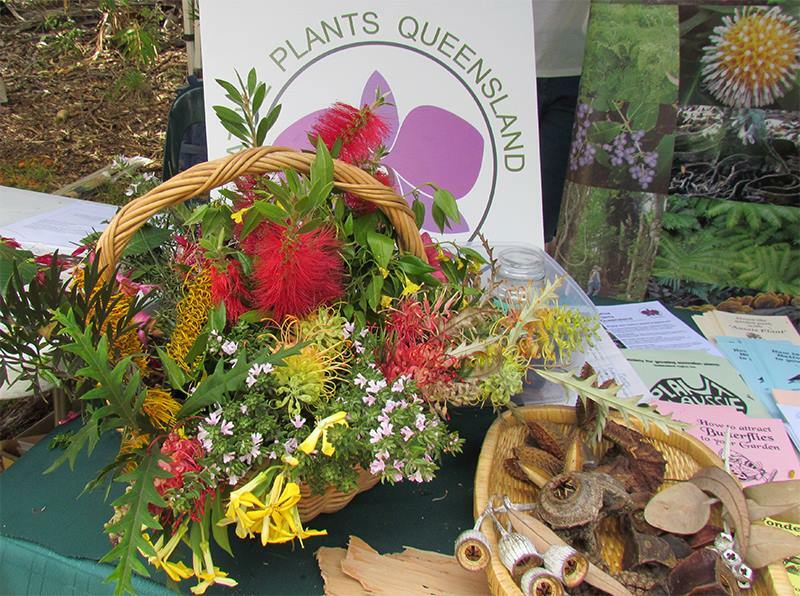 Certainly not the Native Plants Queensland team who showed the real beauty our local flowers with their display. Grow some spectacular native flowers in your garden. Visit the Paten Park Native Nursery at The Gap for advice and low cost plants. 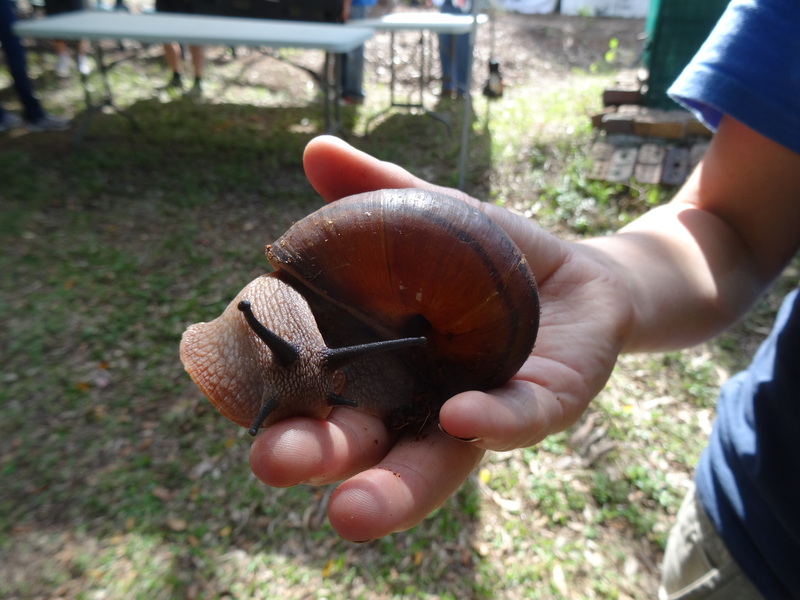 One young visitor proudly showed me his huge pet Giant Panda Snail Hedleyella falconeri. 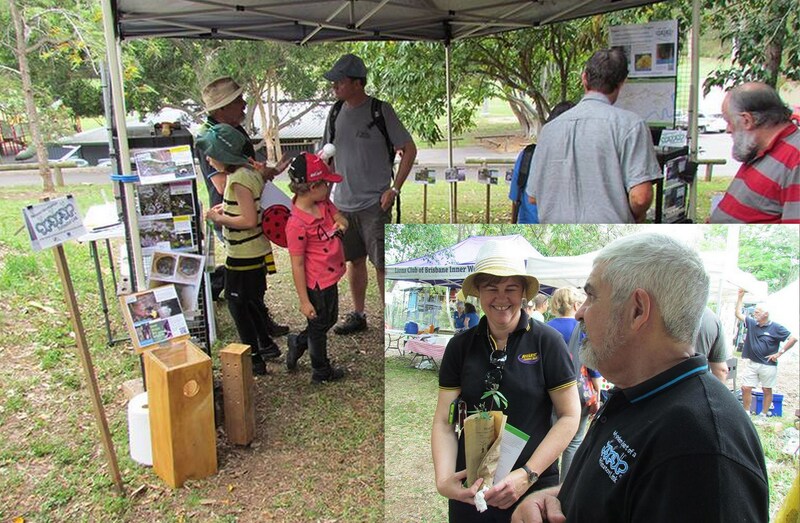 This entry was posted in Pollinator Link and tagged Backyard Bee Home, bee hotel, Cubberla-Witton Catchments Network CWCN, Giant Panda Snail Hedleyella falconeri, Native Plants Queensland, Paten Park Native Nursery, Pollinator Festival, SGAP. Bookmark the permalink.